This year at the Chicago Auto Show, Subaru unveiled a series of limited edition models to celebrate their 50 years in the US market. Every model currently on sale will get the treatment; a breakdown of features and production numbers can be found here. The overall package is quite nice, and Heritage Blue works well on these cars (OK, maybe not as well on the WRX/STI and BRZ). However, while checking out the cars at the show, I noticed some interesting details. On the STI, the paint on the firewall looks a bit dark, kinda like WR Blue. OK... That’s Venetian Red under the hood of the Forester XT. For those unaware, Color Code D4S is Crystal Black Silica Pearl. Interestingly, this BRZ had a production date of 08/17. Someone forgot to uncover one of the B pillar tags on the 5 door Impreza. The 5 door Impreza has a build date of 09/16. I’m guessing this is likely something like the Fiesta ST in Liquid Blue we heard about a few years ago. 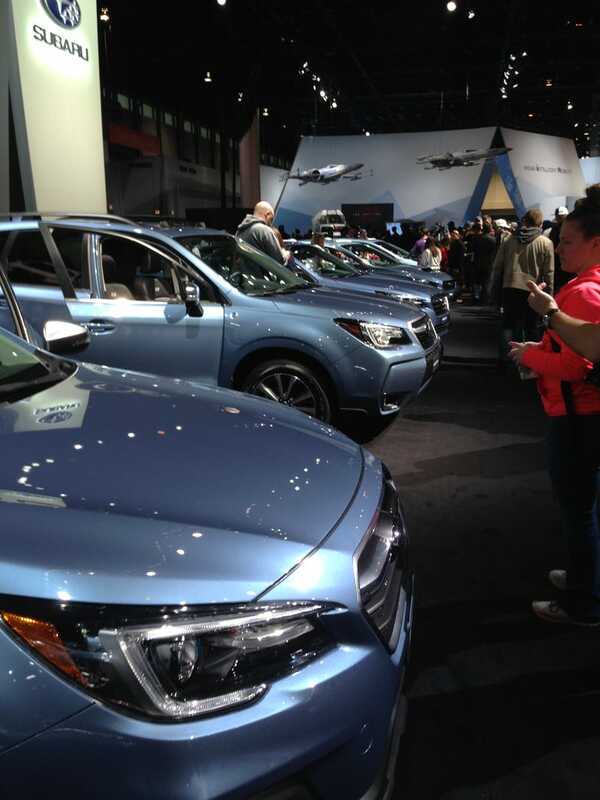 Likely, these applications of Heritage Blue were prepped a bit differently to shine more on the show floor. Or maybe it’s something different entirely. Either way, they were all repainted quite well (door jambs, etc, though I didn’t look under the cargo floors), and featured every detail that the real 50th Anniversary cars will have. Normally, this kind of thing wouldn’t be noticeable, as the cars would typically be locked to the general public. Anyway, I look forward to seeing the real things out on the road.